How far is your nearest health facility? How far do you walk or travel by vehicle, motorbike or bicycle to get to the nearest heath facility? Five minutes, one hour, 5 hours? Did you know that the distance you travel from your house to the health facility could be a potential barrier to utilization of health services especially in sub-Saharan Africa? Longer distances to a facility, particularly with no road network and limited vehicular transport may limit access to life savings interventions. On a study conducted in South Sudan, we explored the proportion of people within 5km radius and one-hour walking time to the nearest public facility. Previous similar measures of access in South Sudan were only provided at national level with varying metrics having slightly different meanings thus not comparable. None of those national summaries allow for a more effective understanding of sub-national variation of health access, necessary for planning of effective and equitable resource allocation. The Government of South Sudan had targeted 70% of the population to be within 5km radius through the first national health strategic plan. South Sudan war for independence was among the longest in the continent. Coincidentally, it has among the highest maternal and child mortality in the world. The most affected public service by the war and conflict was the health sector that became virtually non-existent. Facilities were rendered non-operational and destroyed with lack of resources. Approximately 90% of the 12 million people in 2015 in South Sudan lived in rural areas. 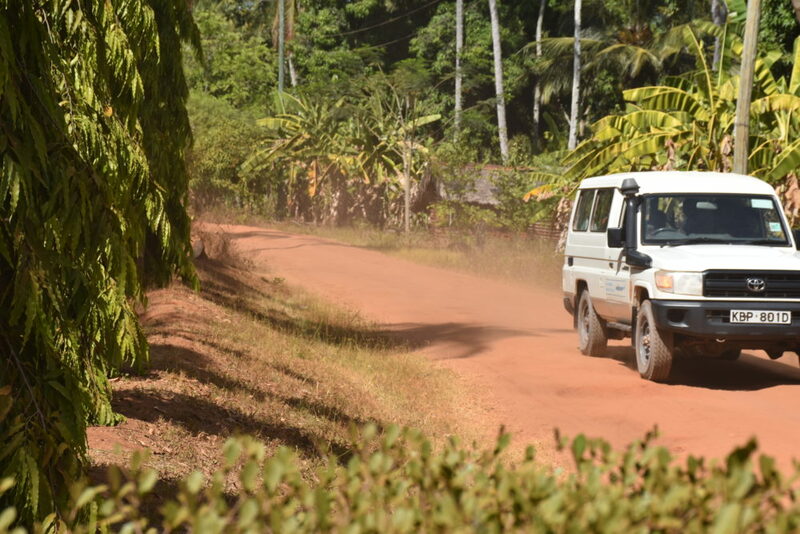 The country’s road network is patchy with unpaved roads which are only accessible by all-terrain vehicles during the dry season while the rainy season renders most roads impassable. We started by assembling all the functional and non-functional health facilities in the country from various online sources. Only the functional public facilities accessible to the public were used in the analysis. As people mainly walk along roads or footpaths while seeking care, we assembled a database of roads and footpaths. In addition, land cover types were assembled to augment where there were no roads nor footpaths at all. Finally, as elevation affects the walking speed, a digital elevation model was used to adjust the walking speed upslope to downslope to a health facility. Assuming a walking speed of 5km/hr, we computed cumulative time taken to reach the nearest health facility from residential areas. We then used high spatial resolution population data to estimate population within the recommended one hour. We compared this metric with an alternative simpler metric that quantified the population within 5km radius of the nearest facility assuming people walk on straight line without any travelling impediments such as topography. Out of approximately 1,747 health facilities in the country, 294 were non-functional ranging from 5% in one state to over 23% in a different state. Nationally 1 facility was offering curative services to about 8,000 people, while hospitals served on average served 312,000 people. Approximately 28.6% the population were within 5 km radius to any nearest public health facility and only 7.7% of the population were within 5 km of a hospital. Only Kajo Keji, Yei and Torit counties had reached the set target of 70% target by 2015. Similarly using traveling time, only 25.7% of the population were an estimated one-hour walking time to the nearest facility. Five counties had more than 50% of their populations within a 1-hour walking time to the nearest facility. Both methods of access identified almost similar 26 counties with the poorest access to healthcare. We provided access metrics at each of the 78 counties of South Sudan. Generally spatial access in the country is poor, however, the most affected counties were Pibor, Pochalla, Nagero, Raga and Paring. Whether nationally or sub nationally, the metrics shows that the government target of 70% of the population to be within 5km of a health facility is far from being attained. This in part due to the current civil war that resulted to major disruptions of public services, affecting an already fragile health system. These metrics of spatial access may be used by the government of South Sudan and partner agencies to for equitable distribution of resources across the counties and for healthcare expansion prioritizing. Read more in the Publication.